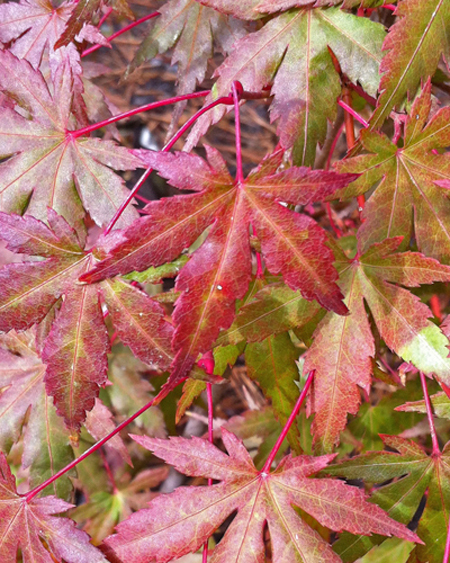 Airy form, red growth in spring, summer green, and scarlet fall foliage, the classic Japanese Maple provides all-year interest. There are dozens of ways to use this tree in the landscape. A beautiful specimen, it is fabulous when planted in a grove. It can lend grace and height to a bed of shade-loving perennials and bulbs. Plant several in an arc or corner with rhododendron, pieris, and ferns in front. 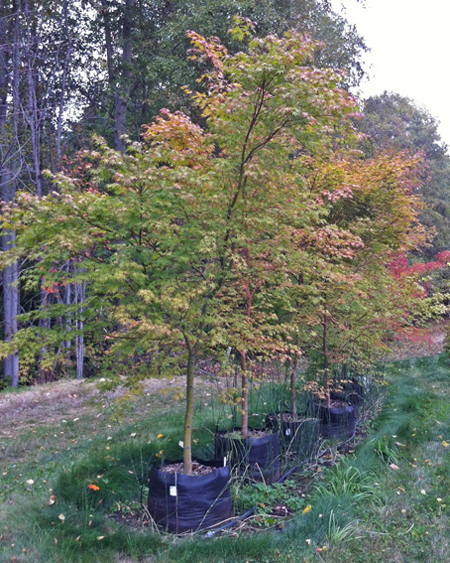 Given adequate drainage and consistent water, Japanese Maples are glorious in large planters, by a pool or patio, or on a deck. Its delicate nature and artistic form have won this small tree its well-deserved popularity. 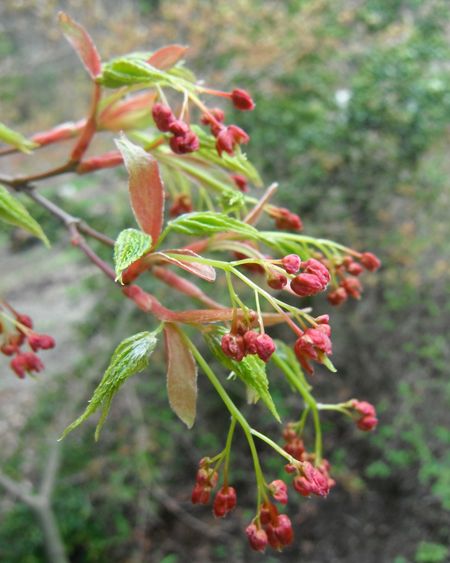 Charming, tiny red flowers in April bloom among soft green new leaves. Brilliant autumn color is a bonus. 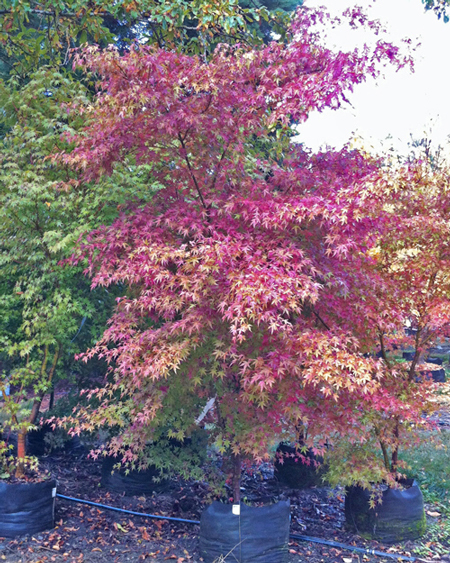 There are hundreds of cultivars of this beautiful tree, but few are lovelier than the species. Its width is often greater than its 15-20ft height. Protect it from harsh sun, provide it with good drainage, and water regularly. We do not ship small orders to the prohibitive cost of shipping live plant material.